He was a Prensa Libre columnist (1991-1999), Director of the Association of Managers of Guatemala (1991-1993), President of the advisory board of the Guatemalan Association of Natural History (1994-2008) -institution in charge of administrating and reconstructing La Aurora National Zoo-, and vice-president of the Board of the National Electrification Institute (1996-1999). He was also Superintendent of Telecommunications in Guatemala (1999-2000), President of the Latin American Forum of Telecommunication Regulators (1999), President of the National Energy Commission (2004-2007), Vice-president of the iberoamerican Association of Energy Regulators (2005-2007), Presidential Commissioner for the Penitentiary System Modernization (2007), and President of the Mario Monteforte Toledo Foundation (2000-2008). Under the Foundation’s seal, he edited 10 books and produced 11 documentaries with the objective of documenting Guatemala’s greatest cultural exponents. His continuous contact with the art world, led him in the year 2010 to bring out the art within him. That’s how his successful career as a sculptor began. 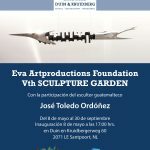 He has had 45 solo exhibitions, and 36 public sculptures in Germany, Geneva, Paris, The Hague, Amsterdam, Washington D.C, Mexico, Costa Rica, and Guatemala among others. 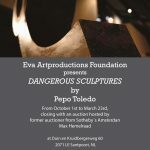 His flagship expo, Dangerous Sculptures, carries a calling to a new state of consciousness – Creationism – where he condemns the excesses of contemporary art and proposes art should turn back to aesthetics, combined with truth and moral values. His works can be found in Jose Luis Cuevas Museum, Diego Rivera Museum, Automobile Museum in Puebla, Nivada Hall of Time collection in Mexico, Art Museum of the Americas in Washington D.C., and in private collections in France, Germany, Switzerland, Spain, The Netherlands, United States of America, Canada, Colombia and Central America amongst others. Today, he shares his artistic activities with his business life. Public presentation of the sculptural ensemble Quauhtlemallan at the Air Terminal, International Airport La Aurora, Guatemala, Guatemala. 22AG. Cup holder design for Juannio’s special edition coffee cups, Guatemala, Guatemala. Presentation of the sculpture El tiempo está loco (Time is Crazy), invited artitst, Time Hall collection, Nivada Swiss, Diego Rivera’s Museum – Anahuacalli, Mexico, Federal District (January 26). Presentation of the artwork Scorpio from the Bestiary series at José Luis Cuevas’s Museum, Mexico, Federal District (January 24). Un homenaje a la creatividad, (A homage to creativity), Guatemala Design Week, Ambiente Studio, Guatemala. Artist to whom homage is paid and exhibitor. (May 3). Presentation of the artwork Taurus from the Bestiary series at Hotel Museum Casa Santa Domingo, Antigua, Guatemala (September 13). Exhibition and painting a picture in 40 minutes, Centro Cristiano Shekinah, Guatemala (September 12). Estampa, National Palace of Culture. Guatemala, Guatemala. JAN8-FEB9. Esculturas peligrosas (Dangerous Sculptures), Maison de l’Amériqe latine, Cour Ovale, París, France. (9OC-6DC). Retrospective – José Toledo Ordóñez at Festival Antigua 2013, Premios Jade, Santo Domingo del Cerro, Antigua Guatemala, Guatemala. (6SP-8SP). Esculturas peligrosas (Dangerous Sculptures), Exhibition Gallery, Palais des Nations, United Nations, Geneva, Switzerland. (18JL-30AG). Esculturas peligrosas (Dangerous Sculptures), Cultural Center Lázaro Carranza, Venustiano Carranza’s Borough, Mexico, Federal District, (November 22). Esculturas peligrosas (Dangerous Sculptures), Design Center, Guatemala, Guatemala (October 1st). Angels, Rozas Botrán Foundation, Guatemala, Guatemala. Sept. 27th. Esculturas peligrosas (Dangerous Sculptures), main premises of the Cultural Institute from Veracruz, Port of Veracruz, Veracruz, Mexico (September 27). Esculturas peligrosas (Dangerous Sculptures), Cultural Secretary’s Office Cloisters, San Francisco de Campeche, Campeche, Mexico (August 1 6). Esculturas peligrosas (Dangerous Sculptures), tribute, Mariano Gálvez University, Antigua Guatemala, Guatemala, (June 16). Esculturas peligrosas (Dangerous Sculptures), Visual Arts Center, Mérida, Yucatán (June 8). Esculturas peligrosas (Dangerous Sculptures), Jaime Sabines Cultural Center, Tuxtla Gutiérrez, Chiapas, Mexico (April 26). Esculturas peligrosas, (Dangerous Sculptures), Gallery of the Government Palace, Villahermosa, Tabasco, Mexico (March 16). Esculturas peligrosas, (Dangerous Sculptures), Mariano Gálvez University, Guatemala (february 16). Modern and Contemporary Art, Puebla, México (February 9). Esculturas peligrosas (Dangerous Sculptures), José Luis Cuevas Museum, Mexico City. 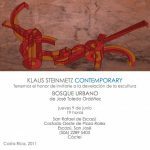 Escultura, relieves y obra digital, (Sculptures, Reliefs and Digital Work), Klaus Steinmetz Latin-American Gallery, San José, Costa Rica (June 9). Relieves y esculturas (Reliefs and sculptures), Rafael Rodríguez Padilla National School of Plastic Arts, Guatemala (February 15). Esculturas peligrosas y relieves (Dangerous sculptures and reliefs), Jack’s Place, Historic Centre, Guatemala, Guatemala. (December 4). Dangerous Sculptures, debut show, Marco Augusto Quiroa Hall, Museum Walk, Museum Hotel Casa Santo Domingo, Antigua Guatemala, Guatemala. July 3rd. 5th expo sale Margarita Tejada foundation, Bugs, inside Fox Channels, Guatemala, Guatemala. 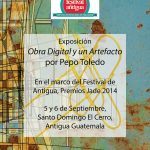 4th expo sale for Margarita Tejada foundation, Ixchel Museum, Guatemala, Guatemala. Margarita Tejada foundation, Ixchel Museum, Guatemala, Guatemala. Margarita Tejada foundation, Masks, San Martín zone 10, Guatemala, Guatemala. June 17th. Juannio, Latin American Art Auction by the Neurological Institute of Guatemala, Carlos Mérida National Museum of Modern Art, Guatemala. Invited artist. (June 4). Miniatures, CAOS Gallery, Guatemala, Guatemala. 28NV. Trazos en vivo, Mario Monteforte Toledo Foundation, Ixchel Museum, Guatemala, Guatemala. 9NV. El arte de cambiar vidas, House of Dolls Museum, Puebla, Puebla, México. 7NV. Woods Arte Gallery inauguration, Deco City, Guatemala, Guatemala. 10SP. Del arte al niño, FUNSILEC, Zona Pradera Business Center, Guatemala, Guatemala. 5SP. Taller de bateas, JUNKABAL, ANACAFÉ, Guatemala, Guatemala. 7AG. Hearts of Hope, Margarita Tejada Foundation, San Martín Zona Viva, Guatemala, Guatemala. 27JN. Invited artist Juannio, Neurological Institute of Guatemala, Carlos Mérida National Museum of Modern Art, Guatemala (June 5). Miniaturas (Miniatures), CHAOS Gallery, Guatemala, Guatemala (December 5). Artgala 2012, Mexican Embassy, Guatemala, Guatemala (November 8). El arte de cambiar vidas (The Art of Changing Lives), House of Dolls Museum, Puebla, Puebla, México (November 7). Trazos en vivo (Live Strokes), Mario Monteforte Toledo Foundation, Ixchel Museum, Guatemala, Guatemala (October 27). CHAOS Gallery, Guatemala, Guatemala, (June 28). Niños en alegría (Children in Happiness), Villa Alejandra, Acapulco, Guerrero, México (May 12). Artifici International Art Consultant & Design, Ixchel Museum, Guatemala (February 28). San Valentín, Caos Gallery, Guatemala (February 14). Plástica contemporánea guatemalteca. 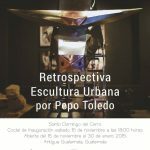 Encuentros y tendencias (Guatemalan contemporary plastics, Encounters and trends), Diego Rivera-Anahuacalli Museum, Mexico City (October 13). Galería 123, San Salvador, El Salvador (January). 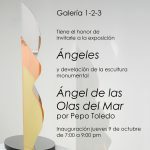 Miniaturas (Miniatures), Caos Gallery, Guatemala (December 1st). Plástica contemporánea guatemalteca. 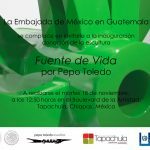 Encuentros y tendencias (Guatemalan contemporary plastics, Encounters and trends, Encounters and trends), Jardín Borda Museum, Cuernavaca, México, November 18). Plástica contemporánea guatemalteca. 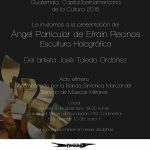 Encuentros y tendencias (Guatemalan contemporary plastics, Encounters and trends, Encounters and trends),Ollin Yoliztli Cultural Centre, Mexico City (October 13). Centre) Zona Pradera, Guatemala (September 22). Coffee Association), Guatemala (August 8). Arte en mayo (Art in May), Rozas Botrán Foundation, Carlos Mérida National Museum of Modern Art, Guatemala (May 11). Arte subasta (Art auction), Guatemala Sur Rotary Club, Ixchel Museum, Guatemala (March 16). Miniaturas (Miniatures), Caos Gallery, Guatemala (December 2). Miniaturas (Miniatures), El Túnel Gallery, Guatemala (December 11). Centre) Zona Pradera, Guatemala (September 8). Arte en mayo (Art in May), Rozas Botrán Foundation, Carlos Mérida National Museum of Modern Art, Guatemala (May). Arte subasta (Art auction) Guatemala Sur Rotary Club, Ixchel Museum, Guatemala (March 3). Miniaturas (Miniatures), El Túnel Gallery, Guatemala (December 5). Del arte al niño (Children’s art), FUNSILEC Foundation, Hotel Intercontinental, Guatemala. Miniaturas (Miniatures), El Túnel Gallery, Guatemala (December). Del arte al niño (Children’s art), FUNSILEC Foundation, Hotel Intercontinental, Guatemala (October 2). 35th anniversary of El Túnel Gallery, La Aurora National Zoological Park, Guatemala (September 3). Trazos de un mundo salvaje (Traces of a wild world), Mario Monteforte Toledo Foundation, La Aurora National Zoological Park, Guatemala (November 15). Cardoza y Aragón Cultural Centre – Mexican Embassy, Guatemala (August 2). El Túnel Gallery, La Aurora National Zoological Park, Guatemala (May). Foundation, La Aurora National Zoological Park, Guatemala (November 16). El Túnel Gallery, La Aurora National Zoological Park, Guatemala (May 4). Expresiones 2005 (Expressions 2005), El Shaddai Church, Guatemala (December 1st). Trazos de un mundo salvaje (Traces of a wild world), Mario Monteforte Toledo Foundation, La Aurora National Zoological Park, Guatemala (November 24). Miniaturas (Miniatures), El Túnel Gallery, Guatemala (November 14). El Túnel Gallery, La Aurora National Zoological Park, Guatemala (May 6). Trazos de un mundo salvaje (Traces of a wild world), Mario Monteforte Toledo Foundation, La Aurora National Zoological Park, Guatemala (December). Isométricas, El Túnel Gallery, Guatemala (September). El Túnel Gallery, La Aurora National Zoological Park, Guatemala (September). Palace of Culture, Guatemala (July). El juego de hacer dibujos. Dibujo infantil de Efraín Recinos (The game of drawing.